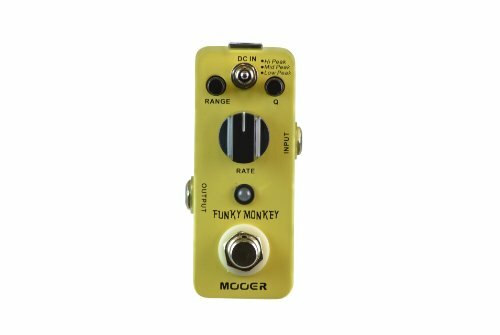 The Mooer Funky Monkey comes to your rescue when you need to get funky and keep your feet free to move about. Most standard Wah Pedals are fixed in the EQ band of where the signal is modulated. This pedal has 3 Modes as well as a Q control to give you a wider palette. Versus a normal Wah Medal, an auto wah can be more subtle, and can be used to provide a small amount of modulation to thicken and make the sound pop in a consistent manner. And of course maybe you just want to use your feet for dancing you're Wah'ing. View More In Wah & Filter. If you have any questions about this product by MOOER, contact us by completing and submitting the form below. If you are looking for a specif part number, please include it with your message.